For maturing men and women, the turkey neck, wrinkled neck, double chin, and linebacker neck can be a relentless dilemma. Skin laxity and deposits of excess fat that can develop in the area beneath the jawline, chin, and along the neck may become a noticeable concern that is resistant to non-surgical treatments. In many cases, muscular bands, jowls, fullness under the chin, and sagging tissue are age-related anatomical changes that do not respond to dieting and increased exercise. Often, aging of the neck area is predetermined by genetics and can be hastened by sun exposure, smoking, and other environmental factors. Thankfully, Los Angeles plastic surgeon Christine Petti, MD performs customized neck lift surgery that can address multiple signs of aging and other cosmetic concerns to create smooth, lean neck contours. For many patients, the neck lift procedure is performed in conjunction with a facelift to achieve continuous rejuvenation of the lower third of the face, jawline, and neck that can look incredibly natural. If you are concerned about the aging appearance of your neck, Dr. Petti can help. 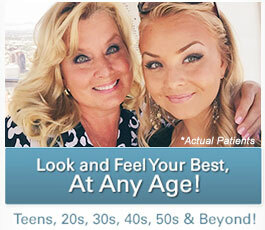 The first step toward a more youthful look is scheduling a one-on-one consultation with Dr. Petti. Together you will review your concerns, examine problem areas, and discuss any appropriate surgical options. Contact our office today! Dr. Petti utilizes signature and unique laser technology to assist her in achieving natural-looking and aesthetically appealing outcomes following neck lift surgery. Neck lift surgery is a highly customizable procedure that can accomplish a wide array of cosmetic improvements to help patients appear years younger. An aging jawline and neck can reveal a person’s true age or make them look much older than they really are. Dr. Petti’s goal is always to help patients achieve a revitalized appearance that enables them to look and and feel their very best. Removal of sagging excess skin. Improvement in the appearance of muscular bands. Removal of stubborn fat deposits that create jowls, a double chin, or fullness in the neck using advanced Smartlipo™ laser-assisted liposuction techniques. Lifting, tightening, and securing lax musculature. Smoothing and tightening the skin along the neck and beneath the jawline. Increasing the angle between the jawline and neck. The exact approach that Dr. Petti uses depends on a variety of factors, including skin and tissue quality, the degree of laxity present, quantities and location of excess fat, anatomical variances, and patient preferences. Many times, neck lift techniques are incorporated into a larger facial rejuvenation plan that may include a facelift, cheek lift, brow lift, and eyelid lift. Non-surgical treatments and injectables are often utilized as well to combat wrinkles, age-related volume loss, and fat deposits. Based on your unique needs and cosmetic goals, Dr. Petti will design a treatment strategy aimed at delivering maximum benefits and revealing a more youthful appearance. Who is a Candidate for Neck Lift Surgery? Patients who are appropriate candidates for neck lift surgery are in good health, have reasonable expectations, and display moderate to advanced signs of visible aging below the jawline/chin and along the neck. For individuals who require only a mild degree of correction or who have certain isolated concerns, non-surgical techniques or minimally invasive options may be recommended. When patients have good skin elasticity and excess fat below the chin, KYBELLA® or Smartlipo Triplex™ may provide beautiful results with considerably less downtime than a surgical procedure. In some instances, Dr. Petti can suggest SmartSkin™, CO2 laser peels, Vivace™ radio frequency microneedling, or Titan™ skin tightening treatment for patients with a mild to moderate degree of skin laxity below the neck and jawline. With her many years of experience and expertise, Dr. Petti approaches each patient as a unique case that requires a highly individualized treatment strategy custom-tailored to create the best possible results. To find out if you are a candidate for neck lift surgery or another procedure, we encourage you to contact our office to schedule a consultation with Dr. Petti. What Happens During the Neck Lift Procedure? The exact surgical plan that Dr. Petti uses for your neck lift surgery will depend on the degree of correction you need and whether or not you are undergoing multiple procedures simultaneously. 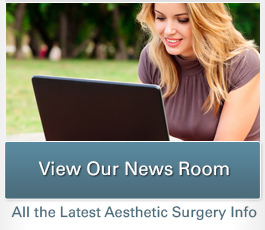 Prior to your surgery she will happily answer any of the questions you have about your procedure(s). Neck lift surgery usually requires anesthesia and is performed as an outpatient procedure in our state-of-the-art surgical center. During a neck lift, Dr. Petti may make small inconspicuous incisions under the chin and along the border of each ear. Through these incisions she is able to access the deeper tissues, musculature, and fat deposits. Depending on your unique needs, she may remove fat deposits with Smartlipo™ laser liposuction, laser lift (Smartlifting™) the deep tissue and musculature, and/or smooth, lift, and remove excess skin. When a neck lift is performed along with a facelift, Dr. Petti may use a slightly different technique. Once surgery is complete, your neck and chin are dressed with a head wrap, which is usually removed within 1-2 days. Neck lift surgery varies in number of days that should be taken off from work and exercise. Dr. Petti will discuss these concerns with you. What Should I Expect During Recovery from Neck Lift Surgery? To aid in proper healing and recovery, it is important for you to closely follow the post-operative instructions provided by Dr. Petti prior to surgery. If necessary, you may want to ask a spouse, family member, or friend to help you in the first few days of recovery. An overnight stay in a licensed professional medical aftercare facility may be advised. Getting a lot of rest and attending all follow-up appointments is ideal for lowering chances of post-op complications. The length of your recovery will depend upon the extent of your surgery and whether or not your neck lift was performed along with other procedures. Typically, swelling and bruising are common after surgery and dissipate quickly with proper elevation. Patients are generally able to return to work after a week, though times may vary—before your surgery Dr. Petti will discuss approximate recovery times and what to expect during the healing process. What are the Results of Neck Lift Surgery? Patients who undergo neck lift surgery with Dr. Petti are often very pleased with their beautiful, natural-looking results. For many, the smooth, lean, and lifted contours created by their neck lift procedure help them look and feel more youthful. Both locally and nationally, Dr. Petti is recognized for her commitment to high-quality patient care and consistently outstanding results she achieves for her facial rejuvenation and neck lift patients. If you are considering a facelift or neck lift, we invite you to check out before-and-after plastic surgery photos of Dr. Petti’s work and contact our office to schedule a consultation.